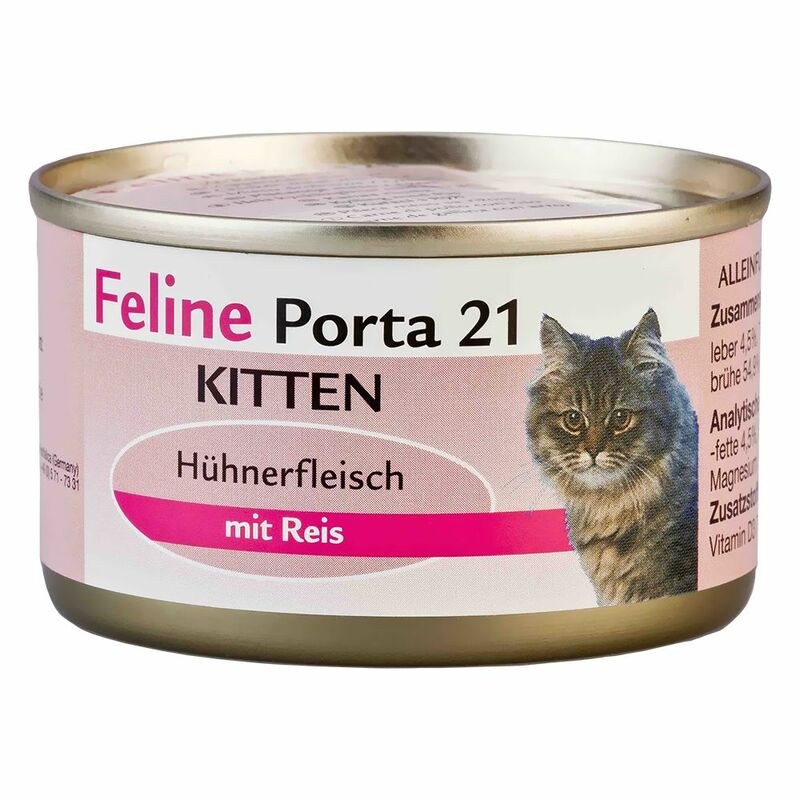 Feline Porta 21 is a premium wet food for kittens. It is made from purely natural ingredients and is free from chemical preservatives. Open your first can and see the difference - the natural consistency will convince and delight you and your cat. Selected chicken in juicy chunks natural cat nutrition with high digestibility Feline Porta 21 cat food contains all important vitamins, minerals and taurine; a balanced calcium/phosphorus ratio ensures healthy bones. Price just £5.29! Click here to buy now!